Please preview for an idea of what this product looks like. 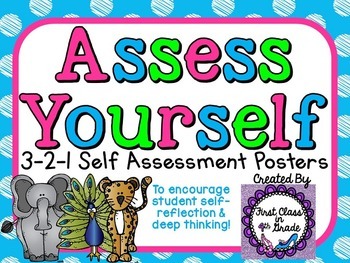 Included are 4 posters - a title page that reads "Assess Yourself: Which best describes you?" As well as three posters for each of the 3-2-1 scale. The posters have their title, definition, student example, and matching clipart. 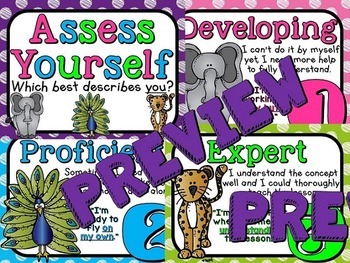 Display in the classroom and while following the poster prompts students self-reflect on their level of learning and ability each lesson.